An interest in futuristic cars is embedded deep within the DNA of Apple’s vaunted design team. 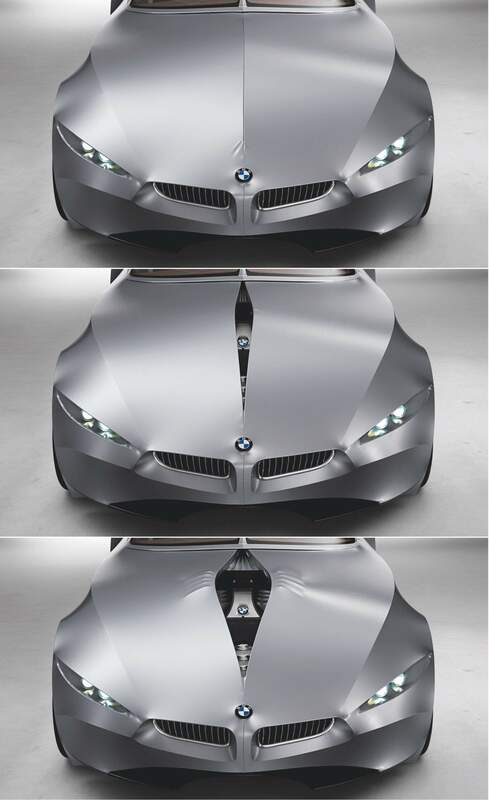 Working under Jony Ive, Apple employs designers who worked on several fantastic concept cars, including a fabric-covered BMW that shifts shape depending on speed. Ive has long been obsessed by cars. (He has quite a stable.) As a teenager, Ive wanted to be a car designer. He visited a U.K. design school that specialized in automotives with a view to studying there, but he found the other students too weird. They were making “vroom vroom” noises as they sketched. Instead, he went to Newcastle Polytechnic (which has since been renamed Northumbria University). 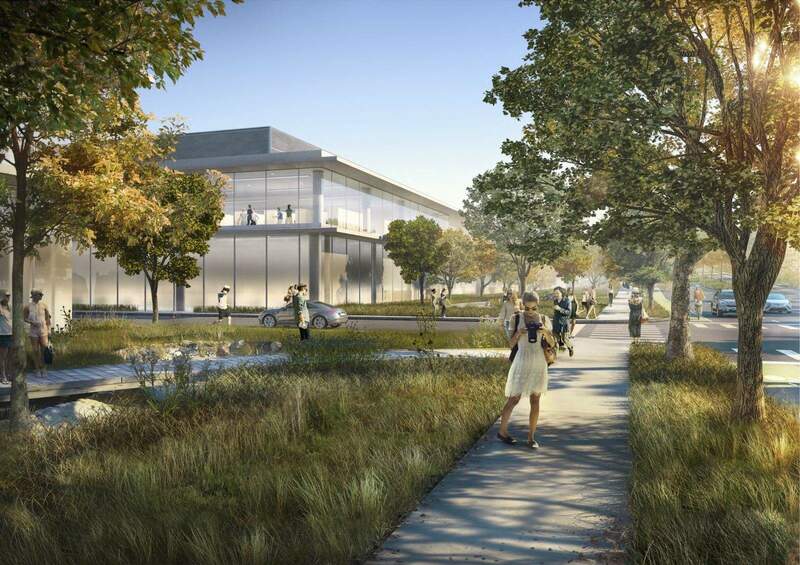 A look at other key members of Apple’s design team, and at a super-secret research-and-development facility planned for the company’s new campus, offers a few clues about how Cupertino might go about producing innovative and unconventional cars. Apple’s possible interest in automotive innovation comes at a time of accelerating change for the transportation industry. From electric cars and high-mileage hybrids to autonomous vehicles and ride-sharing ventures, the way we move around the planet is undergoing rapid and radical transformation. Consumer electronics companies like Apple bring expertise in software interfaces, navigation and entertainment — as well as in building battery-powered hardware — to the innovation party, and could be well-placed to disrupt this traditionally conservative industry. The fact that key Apple designers possess a deep and abiding fascination with automobiles, or that the company is hiring experts away from Tesla and BMW, does not confirm that Cupertino is working on an iCar. Nor does the spotting of mysterious Apple vans decked out with cameras and sensors. Perhaps Apple’s automotive dreams begin and end with CarPlay, its platform for deeply integrating iOS into the in-car ecosystem. However, there was a time when nobody thought a underdog computer company based in Cupertino would get into the mobile phone game, and we all know how that turned out. Here’s a look at some of the in-house expertise Apple could bring to bear if it were, in fact, working on transforming the automotive industry with an Apple car. Apple’s latest celebrity hire, designer Mark Newson, crafted a concept car for Ford. 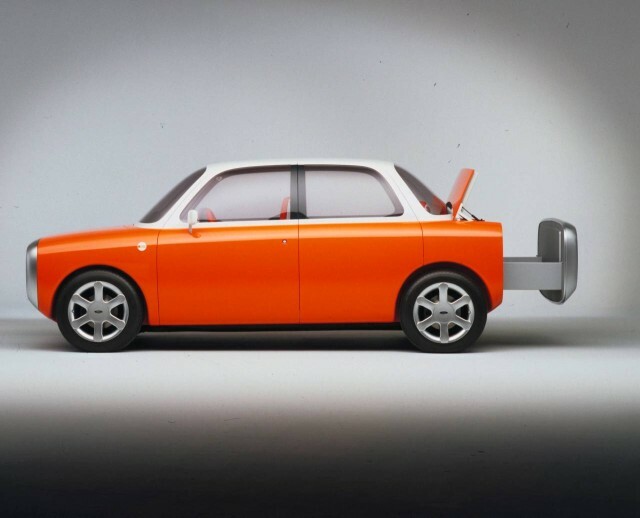 Mostly a styling exercise, the Ford O21C debuted at the 1999 Tokyo Motor Show in bright orange (the car’s named after the Pantone color). Newson’s O21C featured suicide doors and a weird trunk that slid out like a drawer. All four seats swiveled on pedestals. 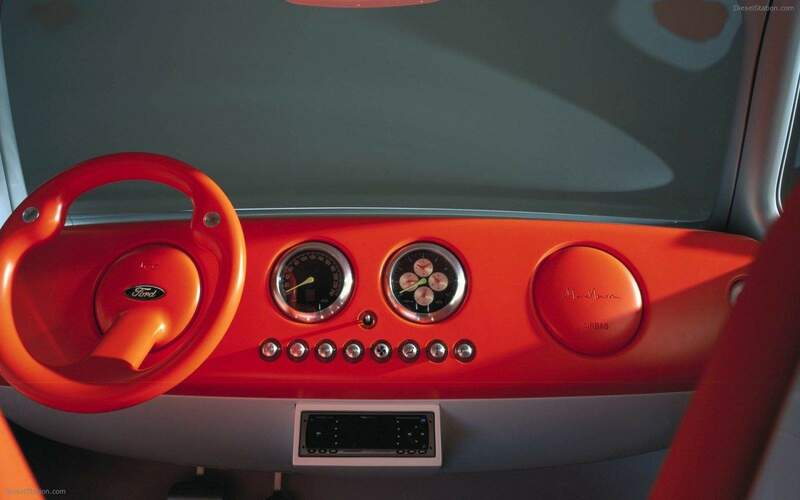 The single-spoke steering wheel was reminiscent of a Newson coat-hanger design, and the entire ceiling lit up with an electro-luminescent glow. Perhaps most importantly, the controls were different from anything at the time; something Apple will likely bring to the table if it gets into cars. 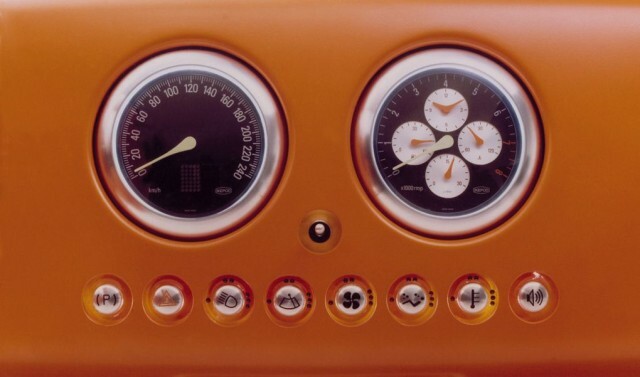 The dials looked like one of Newson’s Ikepod watches, and the button layout was unusual for a 1999 car. All the controls were presented in a long row of simple push-buttons with Apple-like icons. Apple’s secretive Industrial Design Group (IDg), which numbers about 20 members (no outsiders know for certain), includes Julian Hönig, a former car designer with Lamborghini and Audi. A native of Austria, Hönig did post-grad work at the Art Center College of Design, a leading automotive design school in Pasadena, California. 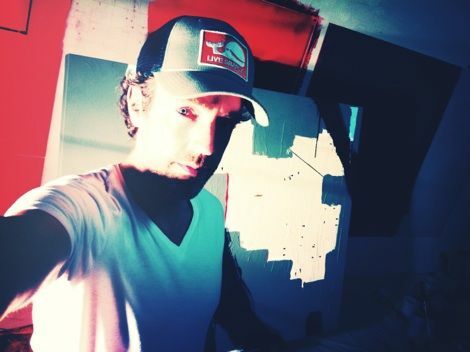 Hönig did design work for several years at Lamborghini and Audi. At Audi, he designed the exteriors of the Audi Q3 crossover, the Audi A4 Avant and the Audi A4 Limousine. Hönig joined Apple in 2010, and is named in 118 patents awarded to Apple, according to a patent database search. 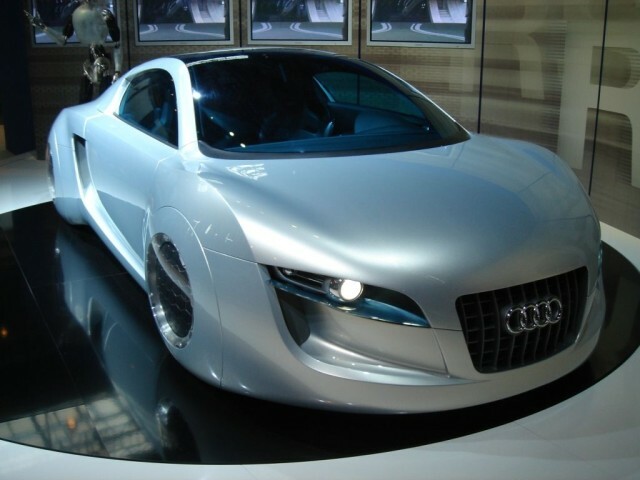 Hönig also designed the Audi RSQ, a concept car designed as product placement in the absolutely dreadful 2004 sci-fi film I, Robot. Although it was supposed to represent a car from 2035, Hönig had to make it look like a recognizable Audi, so the concept got compromised. 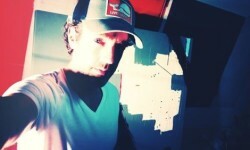 Another member of Apple’s Industrial Design Group, Aaron Von Minden, worked with BMW’s famous Designworks group. 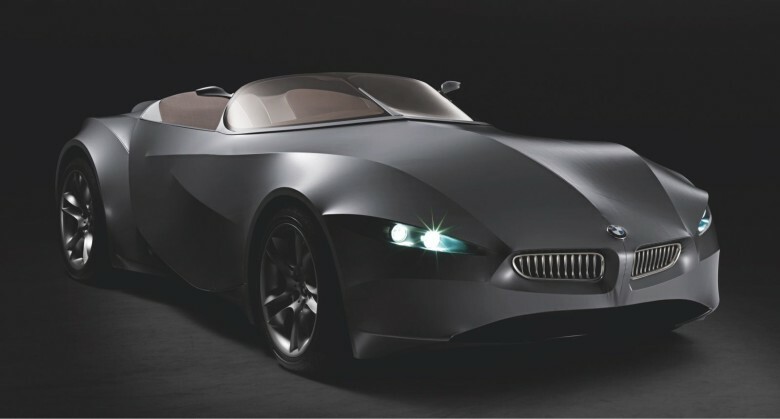 While there, he worked on BMW’s crazy Gina concept car and many other projects, according to his LinkedIn profile. Gina is a fabric-covered car that can shift its shape depending on driving conditions and speed. Gina stands for “Geometry and functions In ‘N’ Adaptations.” Gina’s construction is bizarre, featuring an articulated aluminum skeleton covered in a stretchy, polyurethane-coated Spandex skin. It’s unlikely Apple would get into shape-shifting cars, but it seems like the kind of project that would catch Jony Ive’s attention. In Apple’s case, the company seems to have hired a handful of technical recruiters from Tesla — not engineers or automotive software experts, as some reports have suggested. If Cupertino is looking for motoring talent to create an Apple car, it seems to be in the very early stages. Usually when Apple is seriously gearing up for major new product categories — like the upcoming Apple Watch — it hires senior people with requisite expertise, like Yves Saint Laurent and Burberry CEOs Paul Deneve and Angela Ahrendts (fashion), Jay Blahnik (fitness) and Dr. Dre and Jimmy Iovine (music/entertainment). If an innovative and futuristic Apple Car is indeed one of the products in Tim Cook’s magic pipeline, where would development take place? How about inside a high-security research-and-development facility shrouded in peek-proof glass? Apple plans to build a massive R&D facility at its new spaceship headquarters, Campus 2. Called Phase 2, the R&D complex is scheduled to get started after the main campus building is completed in 2016. The planned 600,000-square-foot research center will house 2,200 employees. 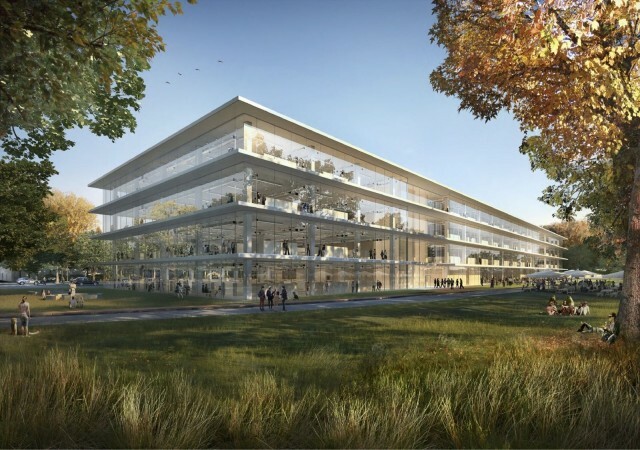 It includes a four-story, glass-encased office building and a similarly sized R&D facility. The R&D building will be encased in frosted glass to keep whatever goes on inside top secret. 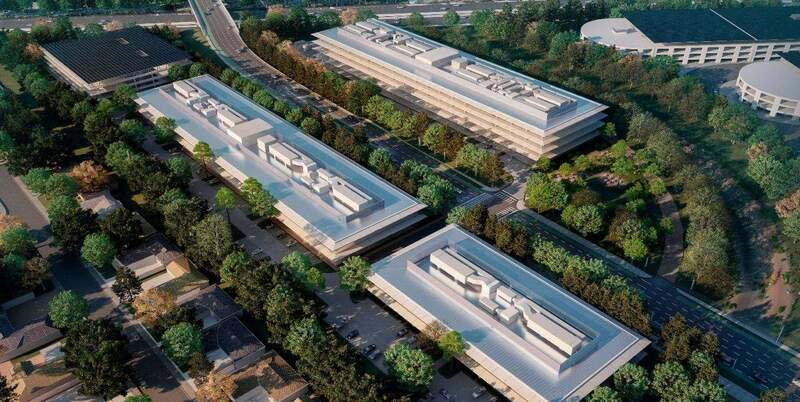 In fact, the whole complex is separated from the main building to restrict access and keep activities hidden from outside eyes, according to plans submitted to the city of Cupertino. The complex is far larger than Apple’s current R&D facilities at One Infinite Loop, although Apple might conduct research elsewhere (and in fact, likely does). 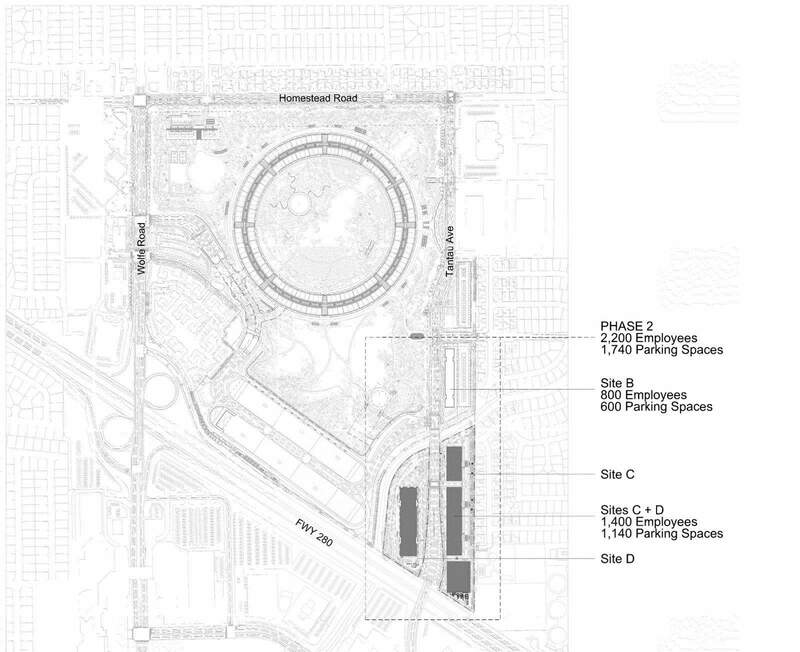 Still, the planned R&D facility seems much bigger than what would be necessary for testing iPhones and iPads. There’s apparently no racetrack, though.